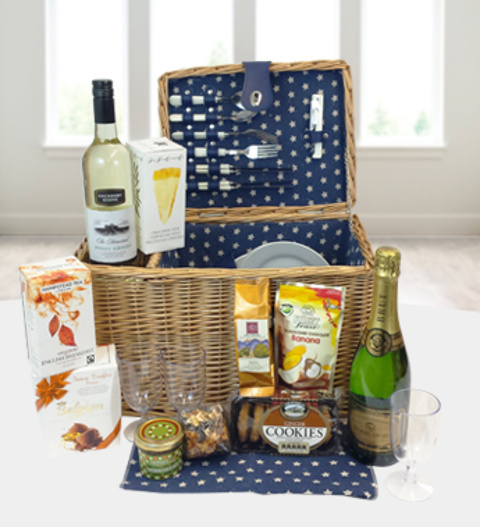 The Great British Picnic hamper, the ultimate deluxe hamper complete with place settings for 4 people. The picnic basket is packed with all the family favourites and perfect for outdoors. The Great British Picnic Basket is available for UK next day delivery.